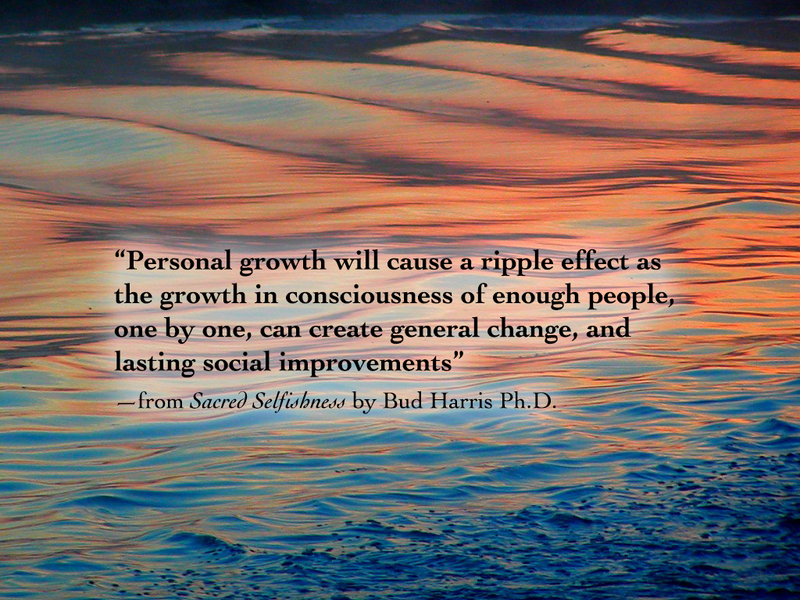 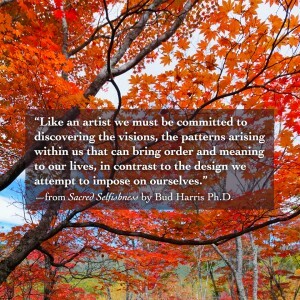 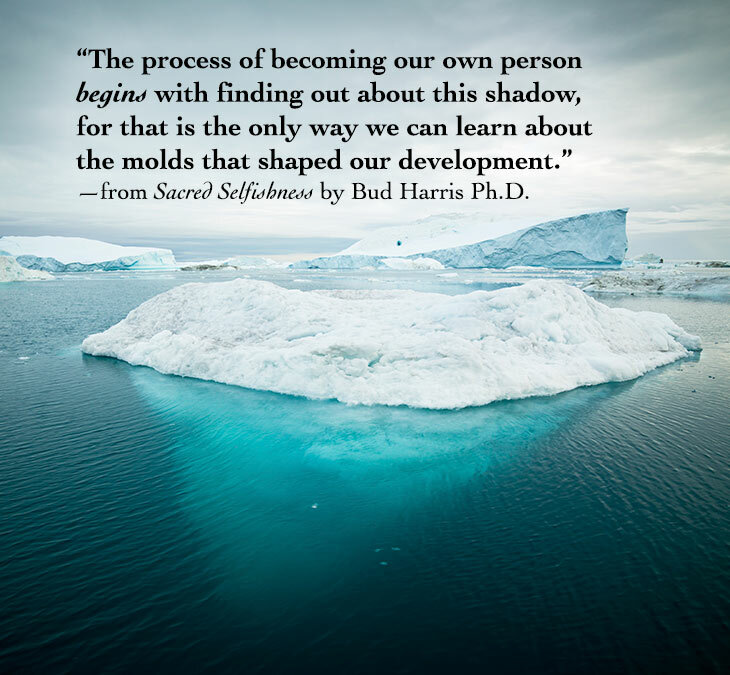 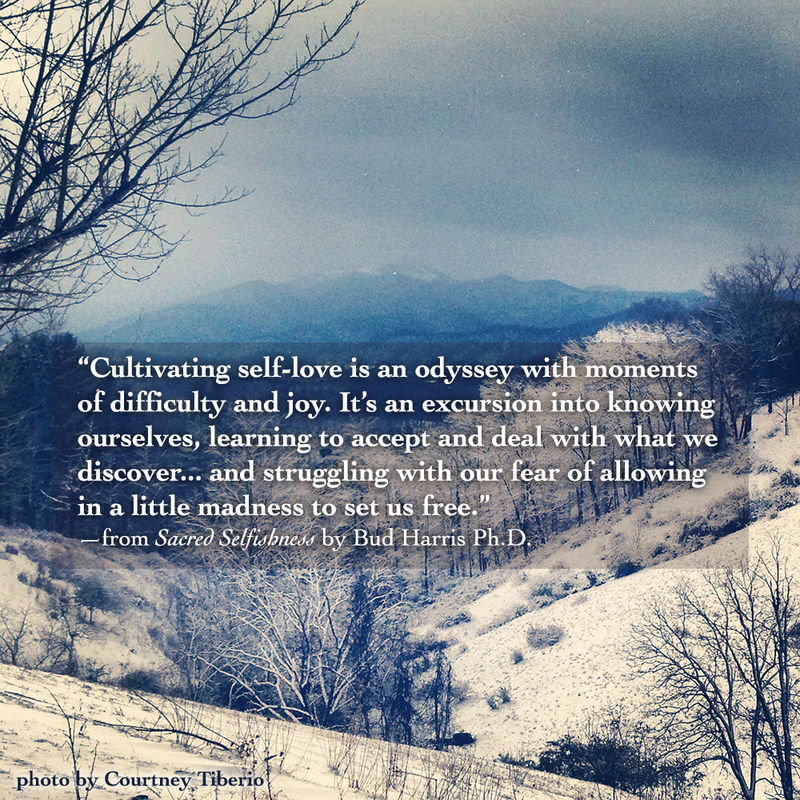 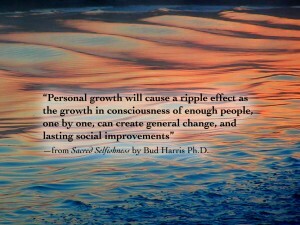 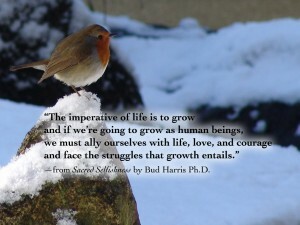 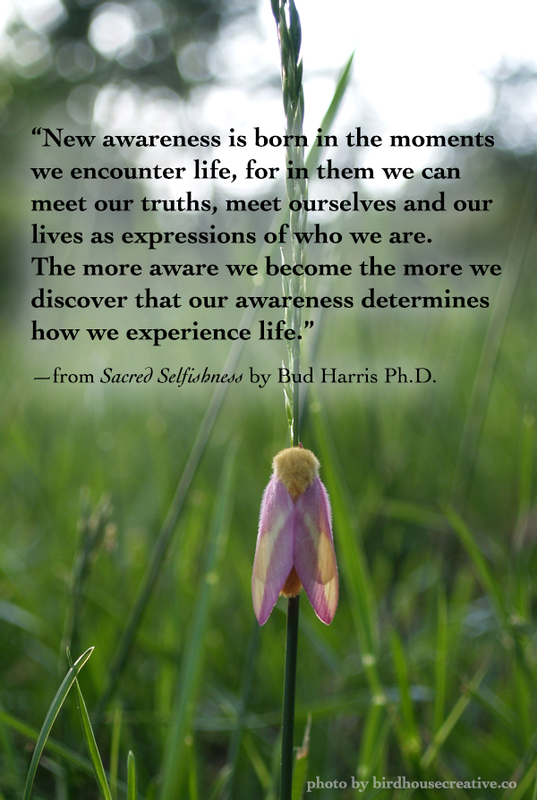 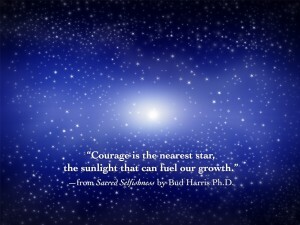 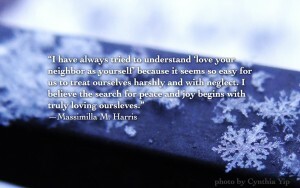 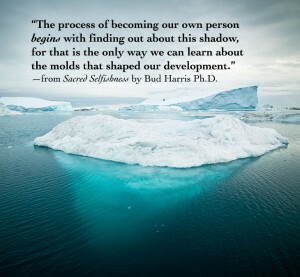 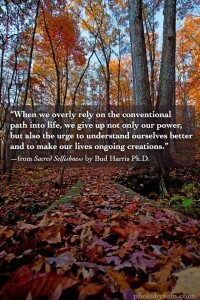 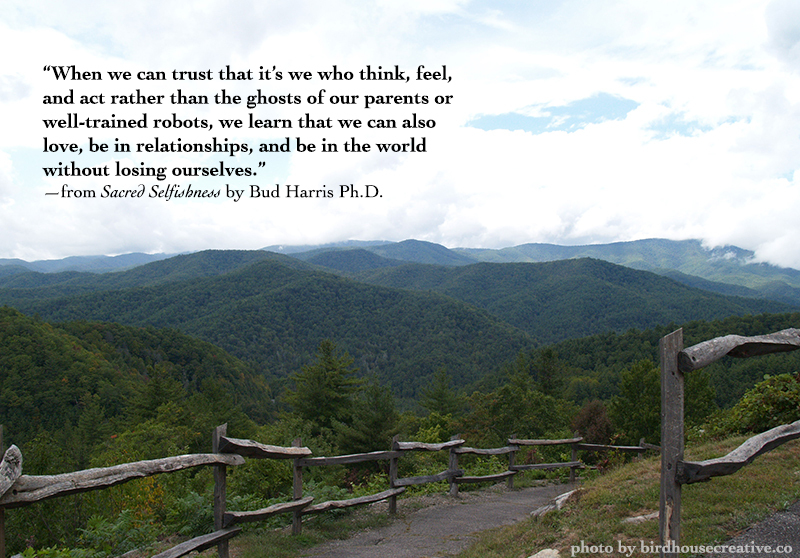 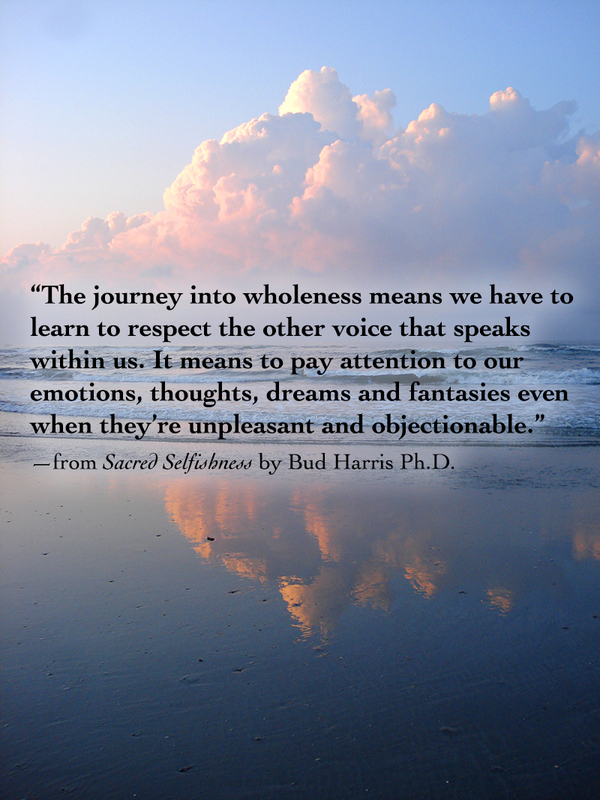 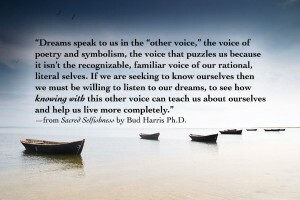 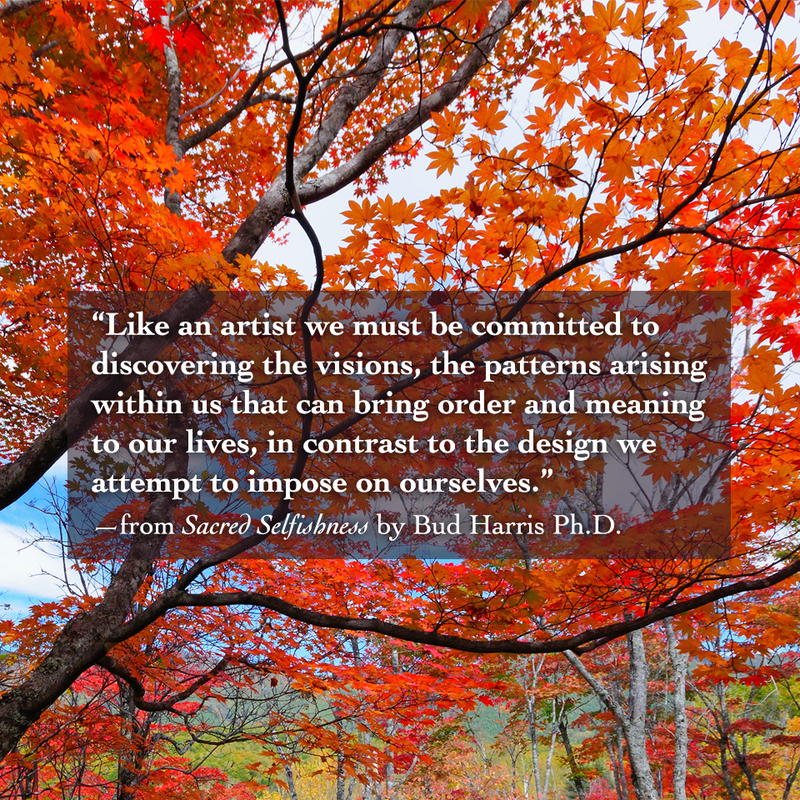 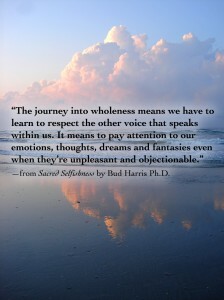 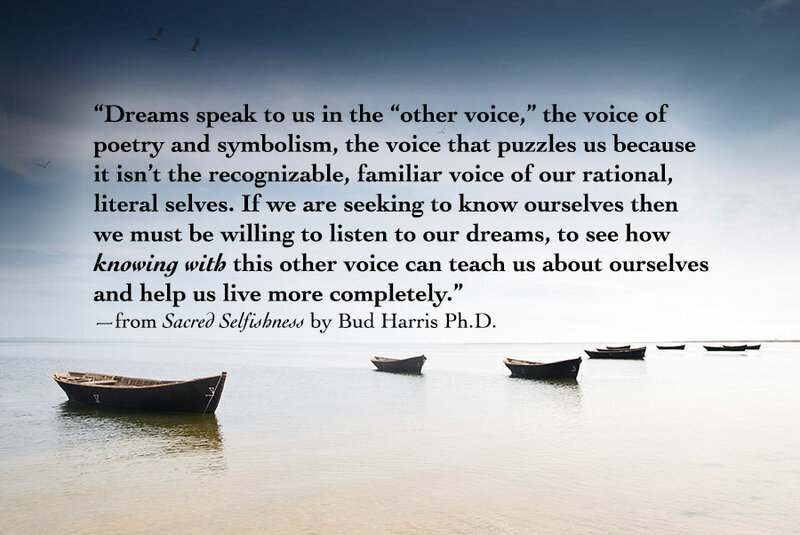 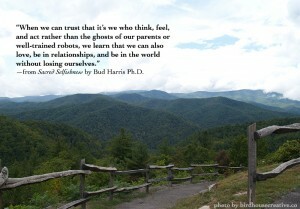 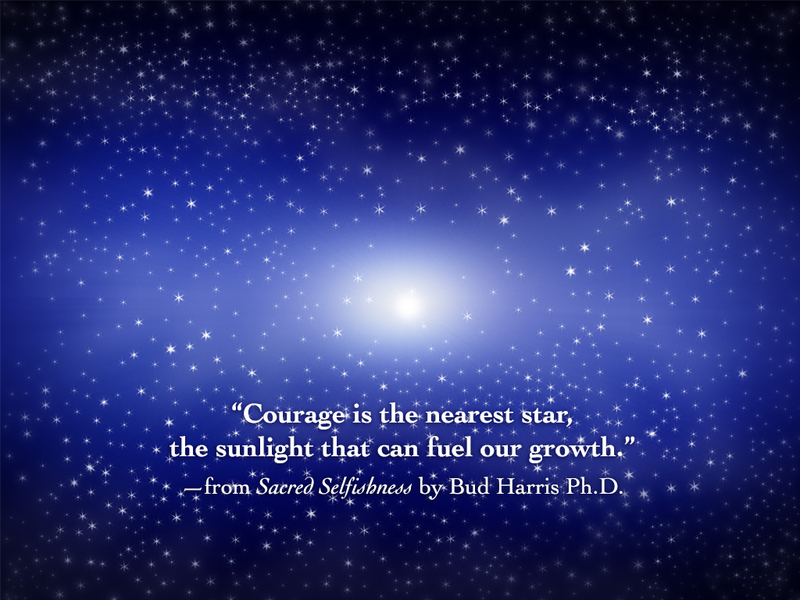 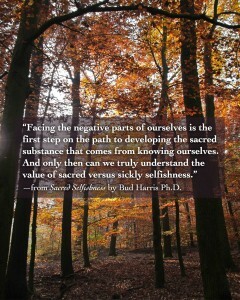 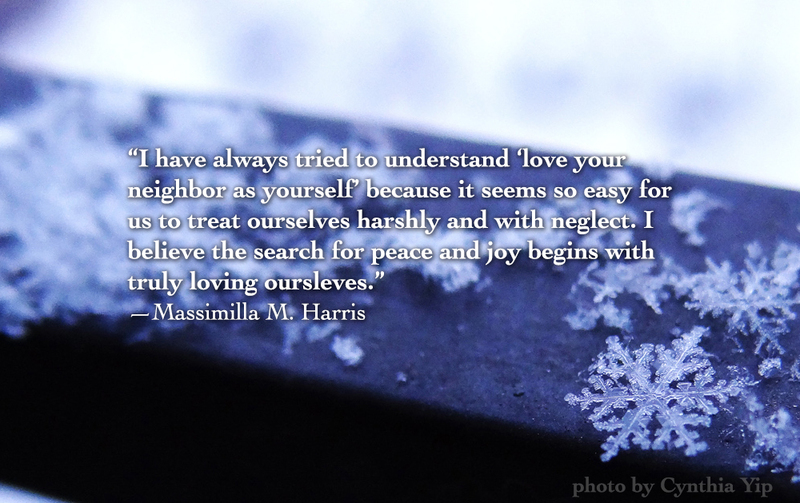 Sacred Selfishness: Excerpts and Resources - Bud Harris, Ph.D. Massimilla Harris Ph.D.Bud Harris, Ph.D. Massimilla Harris Ph.D. 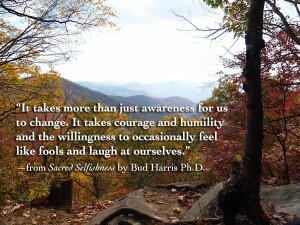 In his early thirties, Bud was “restless and generally dissatisfied.” He was terrified that the rest of his life would “consist of going to work, meetings, church, soccer games, and vacations . 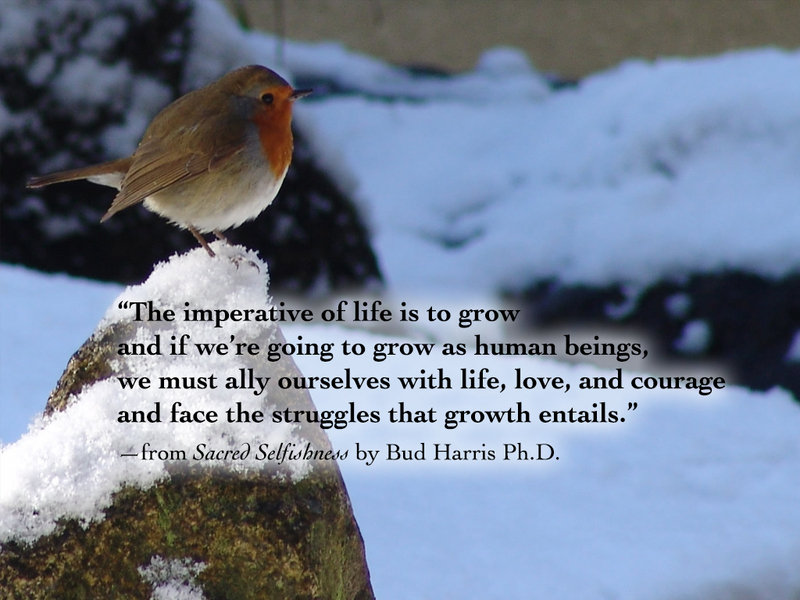 . . simply adjusting to what one’s family or society describes as a ‘good life.’” This full-blown crisis led him into therapy and began a lifelong quest to become a person of substance. 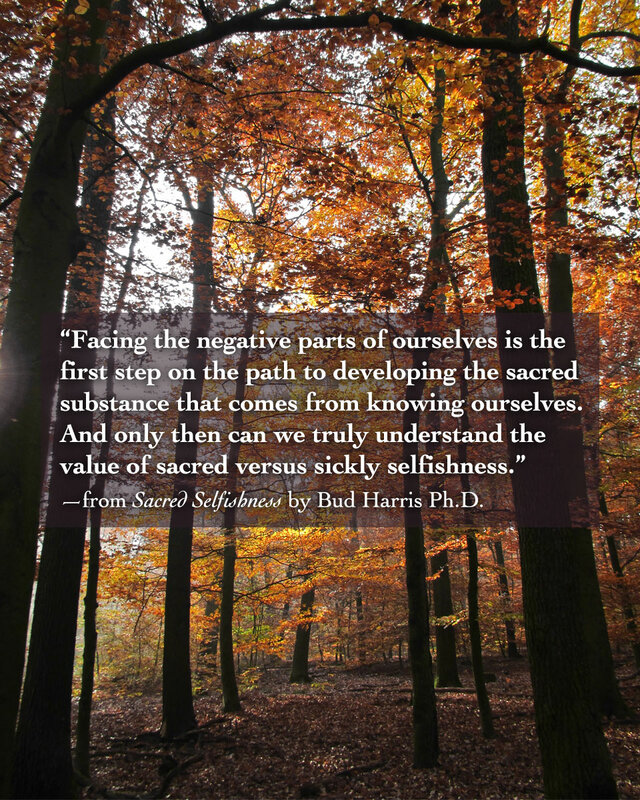 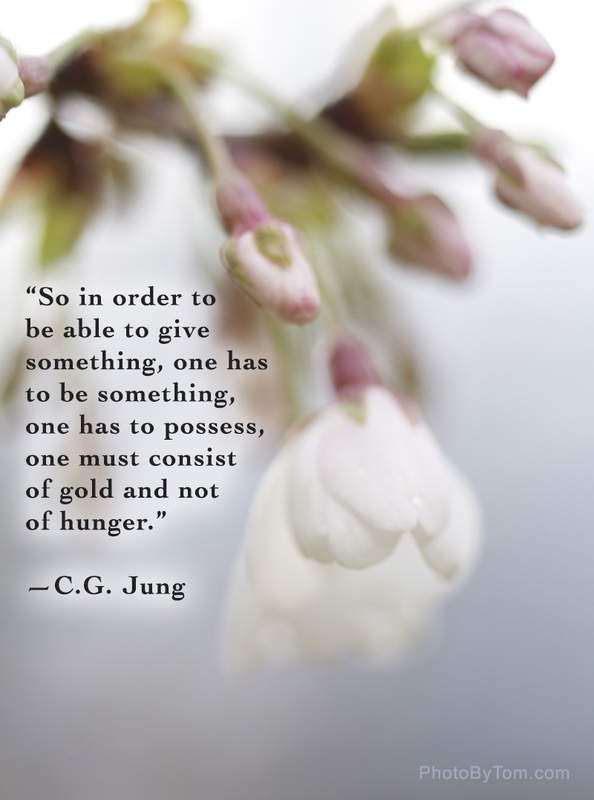 Below you’ll find the first chapter from Sacred Selfishness, excerpts from further chapters, as well as The Sacred Selfishness Workbook by Bud Harris, Ph.D. with Gail Rogers, M.A. 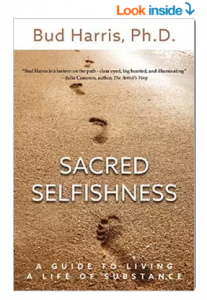 Click here to buy the Kindle Edition. 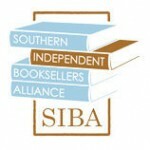 For more resources from Bud and Massimilla Harris, please visit The Center for Spiritual Resources.